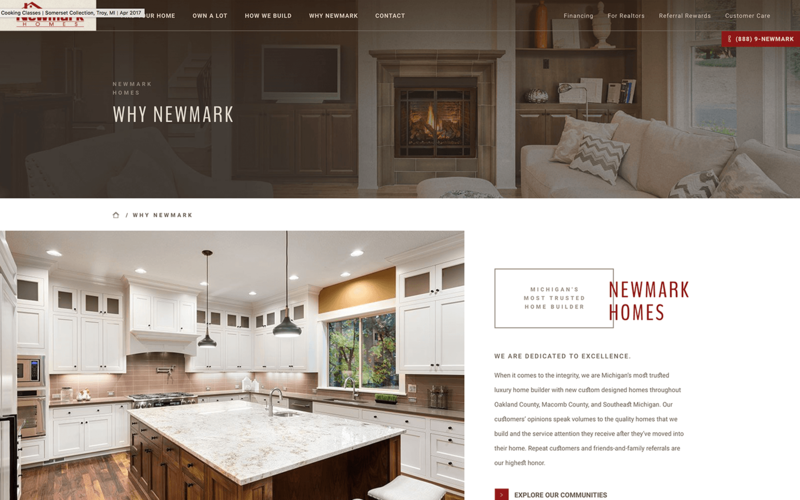 Newmark Homes (newmarkbuilding.com), is a premium home builder in Southeast Michigan. A trusted leader in home building for over 25 years, Newmark has a complete community vision for their developments in exclusive Macomb and Oakland county neighborhoods. A client of ours for a number of years now, Newmark was in need of a new website. We built their first website roughly 5 years ago, and it was time for a redesign. Working closely with Newmark’s leadership, we crafted a look and feel that worked in concert with the architecture and design of their homes. 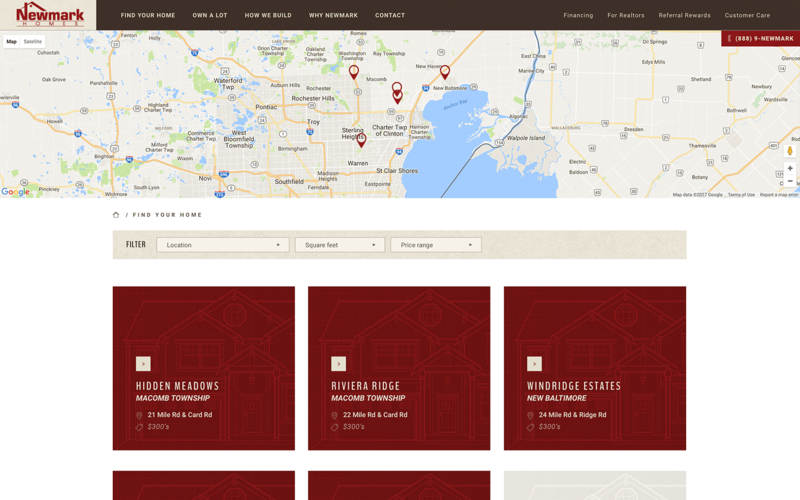 We wanted an inviting web presence that allowed the user to feel at home; while searching for their next home. 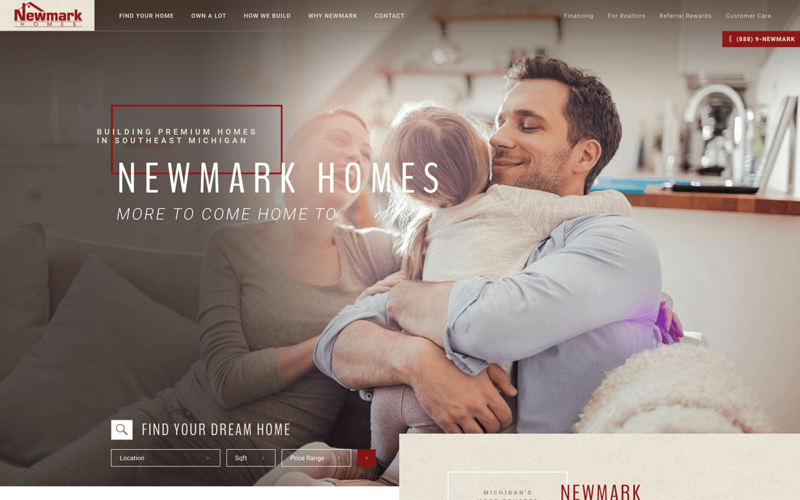 The goal is to showcase Newmark’ reputation as a premium home builder through the design and UX (user experience) that will ultimately drive conversions. This is accomplished by featuring an intuitive filter on the homepage to find the right home in the right location, at the right price, and square footage. Additionally, there are strategically placed CTAs (calls-to-action) throughout the site to encourage ‘hand-raising’ from the user. Additionally, there are several forms on the site that allow for the user to communicate directly with Newmark and filter that communication to the correct department. Newmark Homes is a premier home builder in Southeast Michigan. With over 25 years of experience, Newmark builds in some of Metropolitan Detroit’s most popular new home real estate neighborhoods.